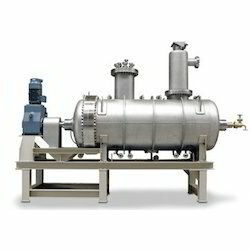 We have established ourselves as leading manufacturers and suppliers of Vacuum Recovery Dryer. The drying in a vacuum dryer is a batch operation under vacuum. 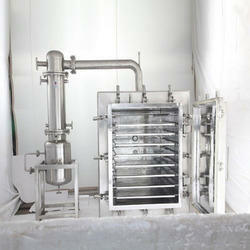 It is possible to dry heat sensitive materials at well below boiling points of water and solvents. Drying time depends on material being dried, amount of solvent or water to be removed, desired final moisture content and permissible jacket temperature. Our company has established itself as a leading manufacturer and supplier of superior quality Vacuum Double Cone Dryer in the market at present. These are suitable for only free flowing materials, which are readily converted from slurry or wet cake to free flowing powder without exhibiting sticking or lump forming properties during the course of drying operations. These are made available to our customers at extremely affordable rates. Backed by a dexterous and dedicated team of skilled professionals, we have been able to manufacture and supply highly efficient Vacuum Rotary Dryer. 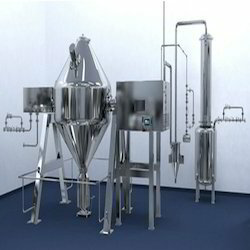 Our provided rotary dryers are availed in a variety of models and other such specifications to choose from. The offered rotary dryers are precisely designed at our highly advanced manufacturing unit following industry defined guidelines. The rotary dryers offered by us can also be availed from us at the most competitive prices.